Mondays aren't always the most-beloved day. But Wyrd does their best to make them a bit better with their regular previews. In this case, they're tying up loose ends with the second half of their Undying Encounter Box. Have yourselves a look. Hey Wyrdos! It's Monday and that means more previews!! 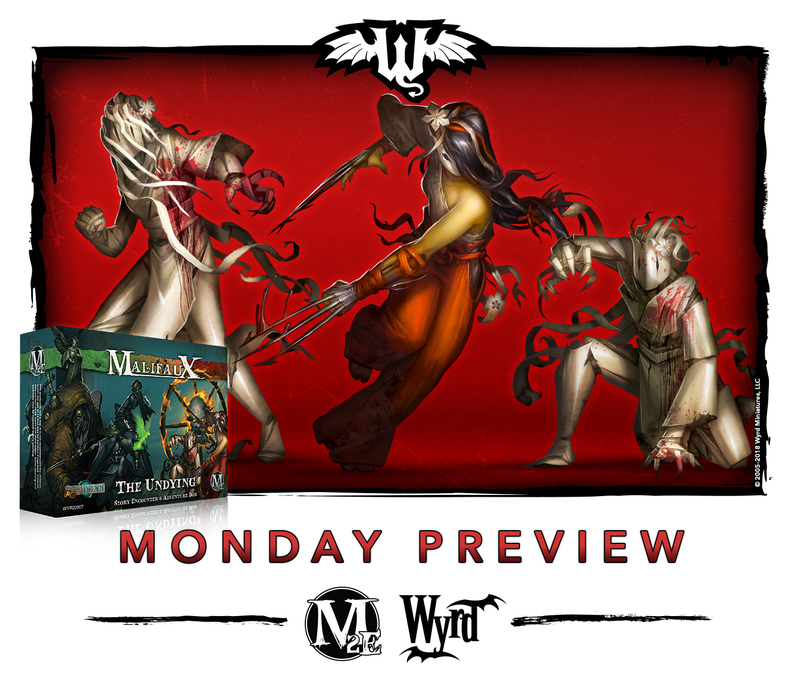 This week we are bringing you the other half of the Undying encounter box. This week we are taking a look at Minako Rei and her Katashiro! Last week we looked at Manos and the Mourners. This week we look at Minako Rei and the Katashiro, the other side of the Undying box.